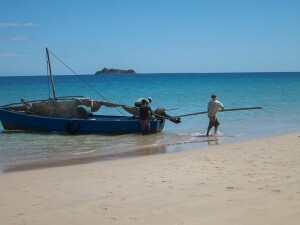 Unloading the boat on the beach should have been as easy as this. W e were approaching our village on the north side of the island. Our trip from the mainland that morning had been pleasant and uneventful with very calm water. Normally at this time of the year we’re not able to unload our boat or dock it on our side of the island because of the direction of the wind that blows causing bigger waves. We stopped at the east side of the island first, where we would normally unload and dock. We had a full load of items that needed to be taken to our side, but it seemed there was no place to store everything until it could be moved: this village being a 30 minute hike through muddy rice fields to get to our village. 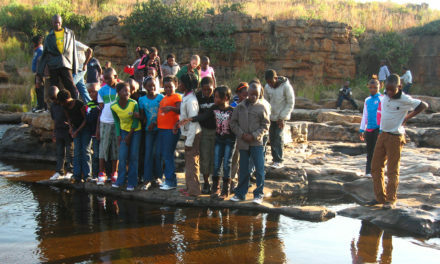 So we asked the people there if they had seen what the water on our side was like. They told us it was calm and that it would be okay to unload there. Off we went, rounding the northern tip and toward our home. Everything looked great as we approached the shore. Our boat helper in front threw out the anchor and Adam killed the motor. As I was about to disembark from the boat with Matimu, the boat suddenly glided parallel to the shore and before I could realize what was happening, a wave crashed over the boat tipping us sideways. Just as I thought the boat was going over, ready to jump into the shallow water, the boat went upright again only to be knocked immediately by another wave. Over and over again the waves crashed into the boat rocking it back and forth drenching absolutely everything inside: all of our team’s foam mattresses we had just bought, our supply of food, more construction materials, everything! People ran down quickly from shore to help unload the boat as it continued to get hit by wave after wave. When the boat was unloaded, it was so full of water that it couldn’t be moved an inch. So everyone grabbed a bucket and began to hurriedly dump out water, all the while waves kept crashing into and rocking the boat. 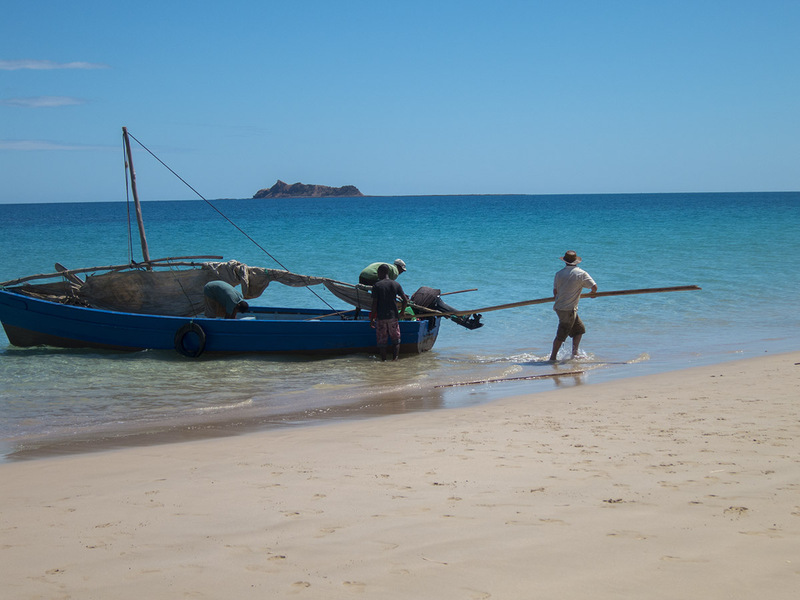 In the end, it took the force of about 20 people to push the boat out to deeper water where there were no breaking waves. All of our things were spread out on the shore. And the most discouraging part was that most of our food – huge bags of rice, onions, lentils, vegetables, and many boxes of oatmeal – was drenched by ocean water and quite possibly ruined. This was our sustenance, what we depended on to live in this remote place. And half of what we brought this time were food items, like the lentils and oatmeal, which can only be found in Madagascar’s largest cities, which we rarely have a chance to visit. 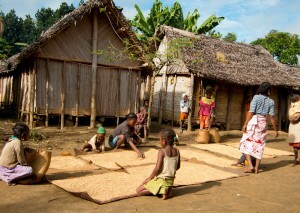 People drying rice on mats in Antenina village in eastern Madagascar. W e all scampered back to our village to lay everything we could out on grass mats under the sun in hopes that we would be able to salvage some of it. All the while I was dreading what I might find when I opened the door to our house. We’ve learned quickly from experience that after being away from the house for a few days or more, the mice and rats have a great party chewing and destroying every imaginable sort of thing in our home. A powdery mold settles and covers the floors and the walls from the excessive humidity and inadequate ventilation. And termites in various pieces of wood throughout the house leave their dust waste sprinkled everywhere. As we approached the house we immediately received the news that one of our kittens, that we got in order to control the mouse problem, had died while we were gone. And the destruction inside our house was no different, although it wasn’t discovered all at once. We were so busy sorting through everything, cleaning and laying things out to dry, that when we finally came across the pile of beans and noodles that were strewn around the corner of Matimu’s room, we were devastated. Not only had mice gotten into our beans, but tiny little bugs had made their way into two huge bags of them, eaten their way through, multiplied, and rendered them worthless except for the little we could save. Several months ago we almost ran out of food, before we had a boat for our team ready to take us to the mainland when needed. 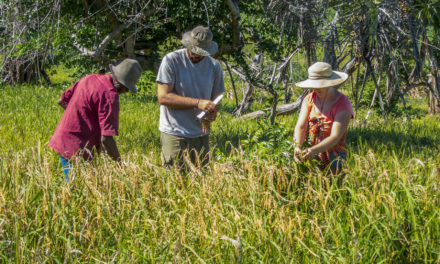 So we started stocking up on everything – never imagining that beans, the food we thought we could rely on when all else ran out, would be almost completely destroyed by bugs! This was disheartening to say the least, because all our efforts at planning ahead had fallen apart. One of Madagascar’s national highways during the rainy season in January – you can be sure more than a few vehicles and pieces of luggage were damaged crossing this flooded highway! 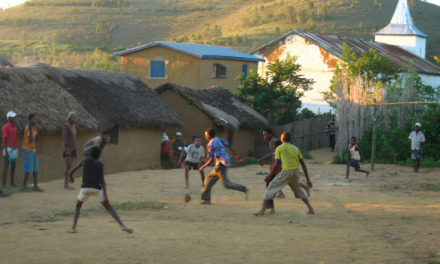 But this is life here in Madagascar. Things borrowed are broken. Clothes turn to rags, getting ripped on everything from chairs to buses to bushes. Long distance transport often breaks down on the road. Crops are destroyed from locusts, birds, and flooding. 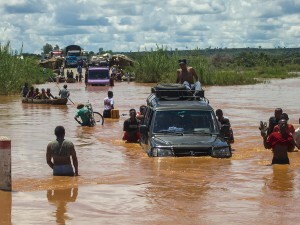 Homes are destroyed from cyclones. And living by the salty sea air quickly corrodes anything metal, making it difficult to even open a zipper. Despite all my efforts at storing, cleaning, and maintaining what I have in this little house, I am surrounded by the refuse of vermin, dust left behind by bugs, ever-present mold, and the corrosion of everything else. 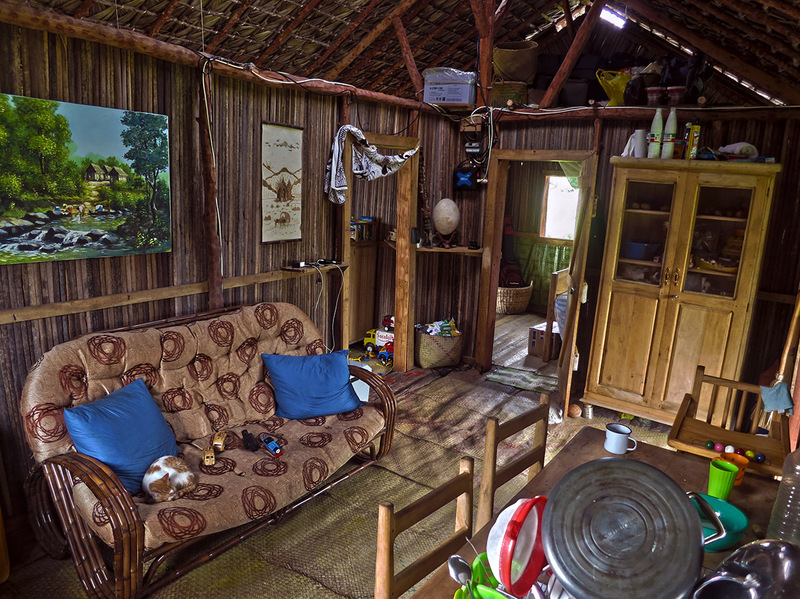 The main room of our home on Nosy Mitsio, with our surviving cat asleep on the couch. I n wealthier parts of the world we’ve come up with all sorts of ways to control and maintain our environment: through climatization of our house and food refrigeration and more. We call the exterminator when there’s a pest problem. We see that if we take care of and maintain what we have, then it will last. And this is true to a certain extent. We’ve grown to trust and value our things. But although what we see in front of us may seem okay, maybe we haven’t noticed that the basement is filled with mold and old memories we’ve stored away in it have gotten water damage. Or we may have no idea that the foundation of the house has shifted. And eventually over time homes become too old and unstable that they are beyond repair. Clothes fall out of style and become musty has-beens. A new gadget today becomes tomorrow’s trash. Underneath the facade, the reality is that all these things are breaking down and wearing away. Some people store up treasures in their homes here on earth. This is a shortsighted practice- don’t undertake it. Moths and rust will eat up any treasure you may store here. Thieves may break into your homes and steal your precious trinkets. Instead, put up your treasures in heaven where moths do not attack, where rust does not corrode, and where thieves are barred at the door. For where your treasure is, there your heart will be also. This is life, at least here on earth. It’s not made to last because it’s temporary. Even our jobs and the endless work we do day after day will eventually be passed on to someone else. If we live as if all our things, our efforts, and our life here is the ultimate treasure, then we’re not seeing the truth that in fact all these things are fading into dust. 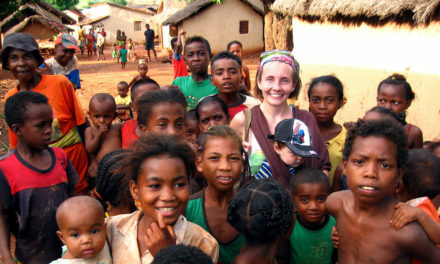 Here in Madagascar, I’m literally face to face with this truth every day. As frustrating as it may be, I’ve found it to be a blessing because it’s forced me to reevaluate where my treasures lie. And I’m becoming less and less surprised by another thing broken, damaged, or spoiled. It’s another reminder to look to heaven and discover more and more about the character of God, about the depths of his love, grace, stability, and dependability (to name just a few). Then I can hope to reflect him as I know him more, not being preoccupied with the fading treasures of this world but with the lasting treasure only he has to offer. I’ve got a long way to go, but it’s a lesson I get to learn multiple times a day. 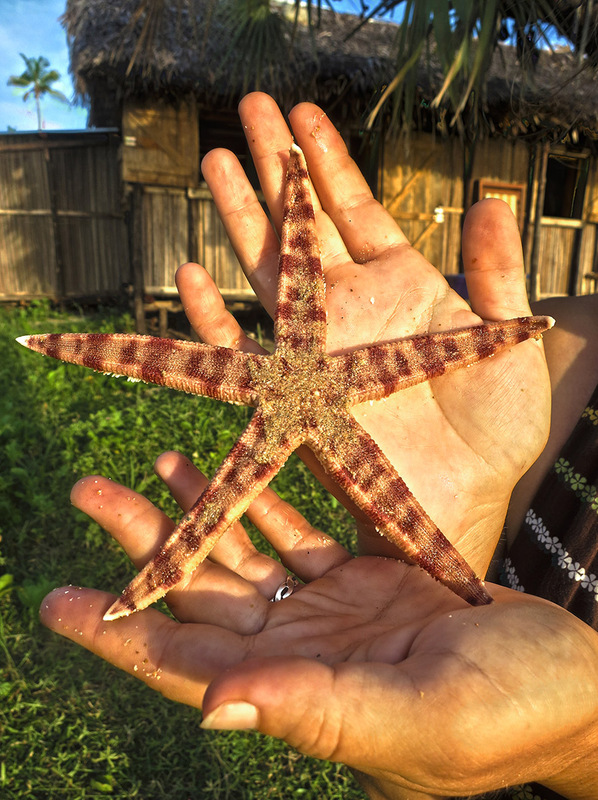 Here’s one treasure I was happy to find on the beach a few days ago! 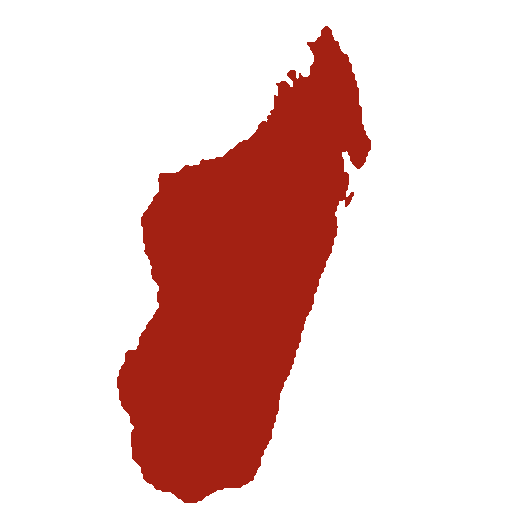 Ny Fanjakan’ Andriamanitra – “The Kingdom of God” – our first preaching in Malagasy! Thank you for the reminder. God bless you all. i’m missing you guys. i hope I get to meet Matimu soon.